So you find yourself wishing you could get a little extra out of your workouts. You’ve tried adding additional sets, increasing your protein intake, and doing everything you can for your post workout results. It just still isn’t enough!!! What can you do? Take your workouts to the next level with lightweight gloves on your hands. 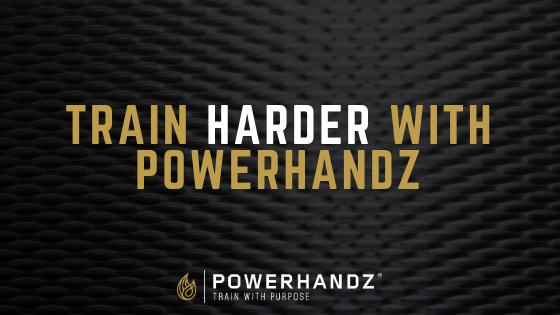 The #POWERHANDZFAM wants you to train with purpose, which is why we have designed our POWERFIT gloves. They won’t weigh you down, but they will give you some explosive results. No matter you are training for, whether it’s a championship game or just to improve health and well-being, you want to the best results possible. Let POWERHANDZ help you maximize your workouts. Everyone can appreciate some extra muscle growth. Wouldn’t you like to be able to lift an extra 10-15 pounds? Our gloves can help you get that additional strength boost. The extra weight in the gloves helps you gain some additional training in every routine you do. This is an old training technique known as weight training, which involves going through a normal training routine with extra weight for improved results. Two people can do the same routine for 3 weeks and the one who was weight training will have better results. We have brought this ancient technique into the modern age with our gear. The only thing more important than strength is speed. Think about it, what sport doesn’t rely on speed? Can you name one athletic event that needs to be done slowly? When you train with lightweight on your hands, your hand and arm speed will drastically increase. Weighted training doesn’t just increase strength but also your speed. This occurs since your body becomes adjusted to working out with a certain weight on it. After you remove that extra weight your reaction time, reflexes, and overall speed will be leagues better than they were before. Our gloves help you take your speed for any sport to the next level. We love seeing the faces and hearing the stories of athletes that take the POWERHANDZ off and smoke the competition. Our gloves don’t just help you improve physically, they help you improve mentally. The athlete that is strong mentally and physically will crush the one that is only strong in the body every time. We don’t want you to just train well, we want you to train like a beast. We know you can become a legend and we’ve made gear specifically to take you there. No matter what sport you play, we have the equipment to make you a champion. Basketball, baseball, MMA, and just about every other sport is in our sights. We want players to train with purpose for even better results. Once you start training with POWERHANDZ, you’ll wonder how you ever did it without us. To learn more about us and what it takes to be the best, check out our blog.